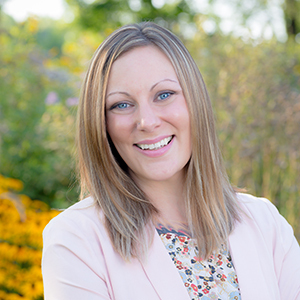 Kelsey Zimmerman - Brick & Banister Real Estate Co.
Like so many others, my first home buying experience was memorable, but for all of the wrong reasons! After looking at over 100 houses and writing 11 offers my husband and I finally settled on a home because it was close to family. Our realtor went through the motions, but really wasn’t working for us. It was this experience that first sparked my curiosity in real estate and made me think about how I could help others through what should be one of the most exciting times of their lives. Working for people as a realtor was an idea I pondered for years before I finally decided to take the leap. The last nine years of my professional life have been devoted to working with horses as a Certified Veterinary Technician. Horses have been a lifelong passion of mine, and in caring for them, I’ve realized how much I also love working with their humans, too! Outside of work I have three amazing children (sometimes four if you count my husband), two crazy Pugs, two cuddly kitties and one horse (who acts like a dog most days). My family and I just moved to our new home in Monticello, so I am well acquainted with all of the stress and excitement involved in selling and purchasing a new house! I am a fun and energetic person, but also very patient and knowledgeable when it comes to explaining the process and the paperwork you’ll be going through. I cannot wait to help you find your perfect house! Follow along with Kelsey’s Grand Aventures!